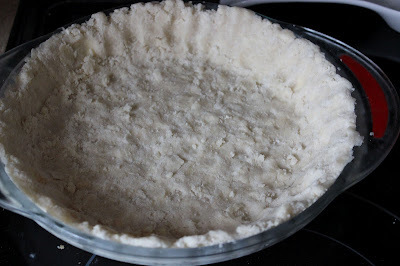 Every since I tried Joy the Baker's Easy No-Roll Pie Crust, I knew many more pies would be in my future. 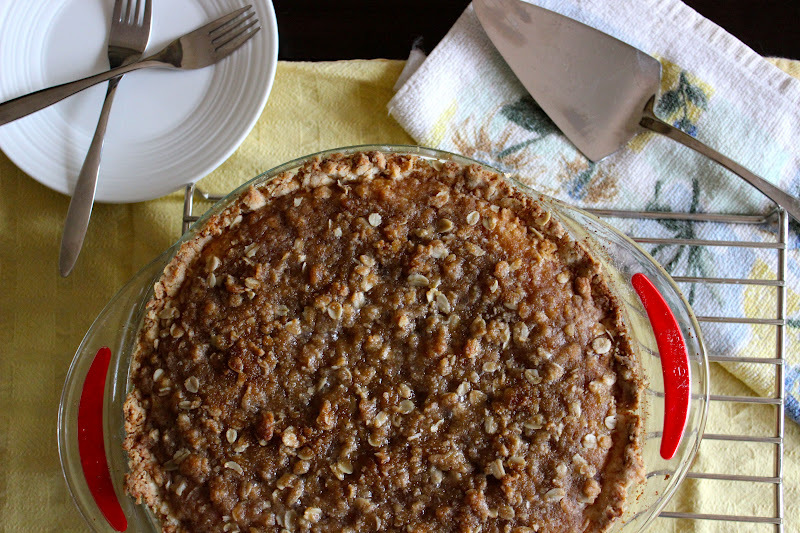 No more store-bought pie crusts for this girl! 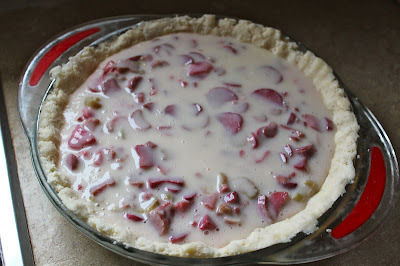 And when I saw this Creamy Rhubarb Custard Pie on Sugarcrafter, I had to whip one up for last week's dessert. 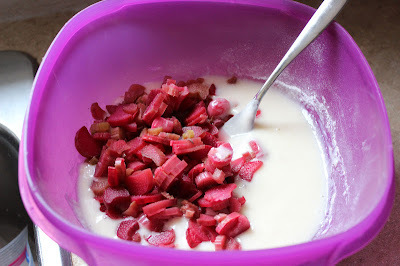 Since I had so much rhubarb on hand, I actually whipped up two of these. 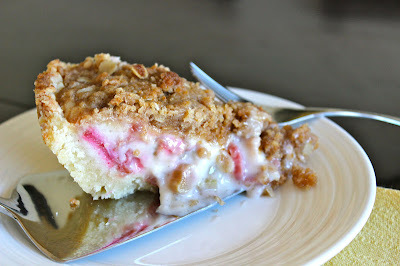 Luckily I was smart enough to drop one off at my parent's house though, or else I would have eaten TWO pies last week! This pie is so incredibly delicious. 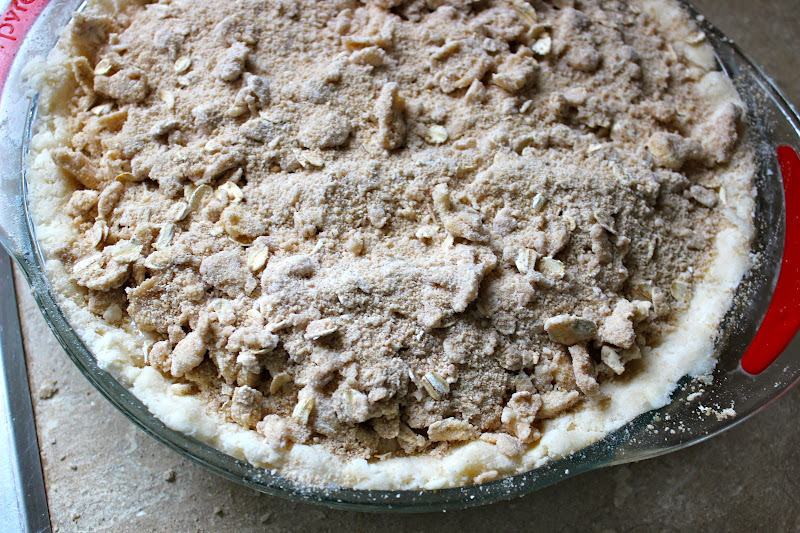 The thick flaky pie crust pairs perfectly with the sweet filling, and the crumbled topping adds the right amount of 'crunch'! 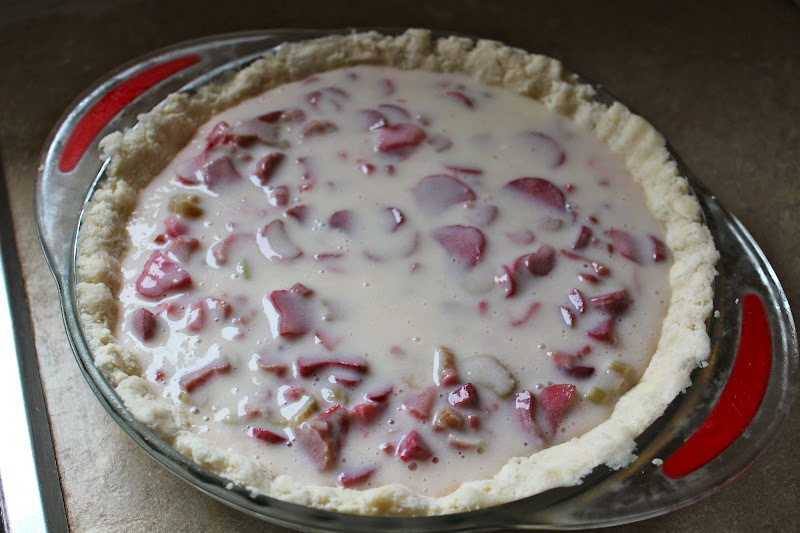 This recipe makes one pie, but it can easily be doubled if you have an abundance of rhubarb kicking around. This pie recipe is from Sugarcrafter. 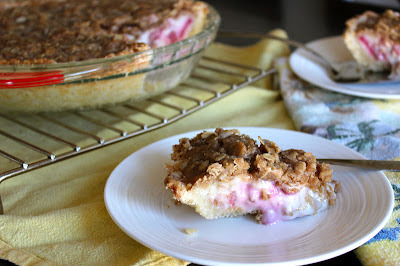 I am so excited that you tried the pie and loved it! Yours looks gorgeous! !